ABM Industries is a facility services provider. The company provides staff to cover basic services such as commercial cleaning, security services, and maintenance services to other companies. 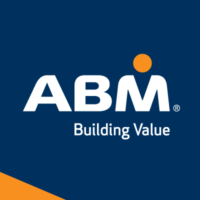 You can find a link to get an ABM Industries application by going to their website through the application links at the bottom. Morris Rosenberg founded the company in 1909 in San Francisco, California when he began cleaning windows for other businesses. His company was named American Building Maintenance in 1913. The business provided janitorial services for many years. It added electrical services in 1937. The company had 17 locations across the United States and Canada by 1945. The publicly owned company is traded as ABM on the NYSE. It’s headquartered in the Fred F. French Building, New York, New York. Monica C. Herringer is Chairman, Scott Salmirs is CEO and President, and Anthony Scaglione is CFO. The company operates more than 350 offices in the United States alone, and employs 118,000 people. Services provided by the corporation through its 15 subsidiary companies include Electrical Solutions, Energy Solutions, Facilities Engineering, HVAC and Mechanical, Integrated Facility Solutions, Janitorial Services, Landscape and Turf, Parking and Transportation, and Security Personnel and Consulting. Areas of operation are the United States, Canada, Puerto Rico, Central America, North Africa, the Middle East, and Europe. The company offers numerous career opportunities at the corporate and management levels in the areas of Audit, Communications, Executive, Finance, Human Resources, Information Technology, Legal, and Marketing. Some titles are Business Development Manager, Pricing Analyst, Security Operations District manager, Human Resources – Employee Relations Specialist, Janitorial Project Supervisor, and Contract Recruiter. Entry-level jobs are available in the Services. Available jobs include Forklift Operator, Cleaner, Security Officer, Landscape Laborer, Valet, Maintenance Mechanic, Call Center Attendant, Security Officer, Parking Garage Attendant, Housekeeper, Porter/Matron, Traffic Director, Packer, Snow Remover, Golf Course Laborer, Construction Assistant, Window Cleaner, Restroom Attendant, Warehouse Clerk, HVAC Service Technician, and more. How old do you have to be to work at ABM Industries? You must be 18 to work at ABM Industries. The company offers careers with vastly different skill levels. Most job opportunities require at least a high school diploma. Be sure to read the job description before applying for ABM Industries careers. The facility services provider offers a competitive benefits package to its employees. Many employees qualify for medical plans, dental, vision, life, disability, business travel insurance, financial and retirement benefits, 401(k), stock options, employee assistance program, workers’ compensation insurance, paid time off, and more. With some many people working for so many companies through this business, hours of work could be any time. HVAC Mechanic – An HVAC Mechanic maintains and repairs boilers, furnaces, air conditioners, refrigeration equipment, plumbing, and more. This person works under a supervisor. Some paperwork is involved. A high school or technical school diploma, three years of relevant experience, certification and licenses are requirements. Salary for this position starts at $30.00 per hour. Security Officer – A Security Officer provides safety and security services. This person responds to emergencies including firefighting and first aid. Responsibilities include theft prevention. This person works under a supervisor. Some paperwork is required. A high school diploma, a State Security Guard License, and a driver license are necessary. Pay starts at $9.00 per hour. Valet – A Valet greets guests and provides parking services for residents, visitors, and guests. This person must tell customers policies and times so they can retrieve their cars. Responsibilities include keeping the parking area clean, watching for suspicious behaviors, and logging activities. A high school diploma and a driver license are required. Pay starts at $9.00 per hour. Cleaner – A Cleaner cleans an assigned area by performing tasks like removing trash, wiping down surfaces, cleaning ashtrays, vacuuming, dusting, cleaning blinds, polishing furniture, sweeping and mopping, disinfecting food and drink areas, and removing fingerprints from all surfaces. This person works under a supervisor. Pay starts around $9.00 per hour. Do you have all of the necessary licenses and certificates for the job you want? Many ABM Industries jobs require special licenses or certifications. Your interviewer needs to be sure you meet all of the requirements for the position you want before hiring you. You can read requirements for ABM Industries jobs online. What will we turn up when we conduct our background check on you? This company runs background checks on all applicants who are seriously being considered for employment. If you wish to work in the facility services industry, your background check will need to show that you are a trustworthy person. Have you ever been fired from a job? Your interviewer may ask you this. It won’t necessarily preclude you from being hired, depending on the circumstances. You should think ahead of time about any sensitive questions that could come up during your interview. Your answers will affect your chances of being hired. Can you describe for me the job responsibilities of the position you want? Be sure to read the job descriptions before you fill out applications with the company. This business posts detailed job requirements for the positions it offers on its website, making it easy to apply for jobs at ABM Industries online. Are you interested in moving up within our company? Entry-level jobs with this employer often lead to higher positions. The company promotes staff, offers training and development, and management trainee opportunities. Let your interviewer know if you are interested in growing with the corporation over time. You can get a free application at the website below. Appropriate dress for you interview is business-like. Conduct yourself in a professional manner. You will not be able to get a printable application for ABM Industries at the website. You can use the website below to find a local office and then fill out an ABM application in person, if you don’t wish to use the online application. If you would like to know how to apply for ABM Industries online, go to their website through the links below. Once you are there, you can browse careers and fill out a direct application. The website will ask you to create a career profile before you can proceed with the process. You will not be able to download application form or get a printable application form at the website. You will be able to apply online after creating a career profile. The website will allow you to upload your resume and fill out its online application form. Once you have completed the process, you can apply to more positions with the profile you created.